This is an app I developed using Cycling 74 Max. 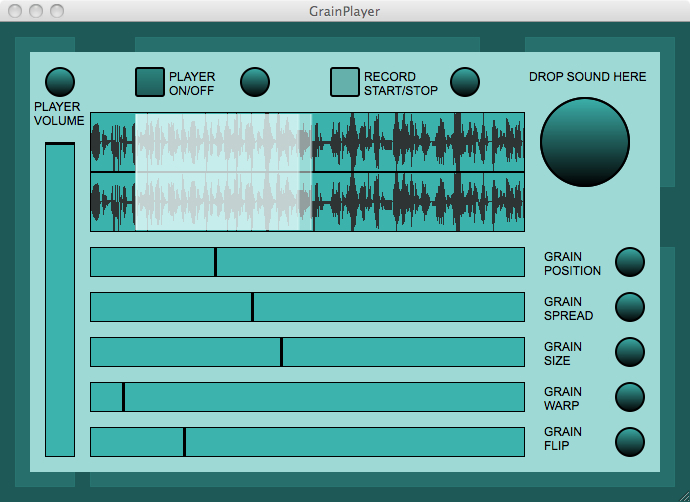 It’s a simple tool to do some granular synthesis from any .wav file. There’s a few parameters that can be tweaked, and it’s possible to record the resulting audio to a .wav file. It’s a bit limited in its functions, but it incorporates most of the basic elements for granular synthesis and it runs quite smoothly.